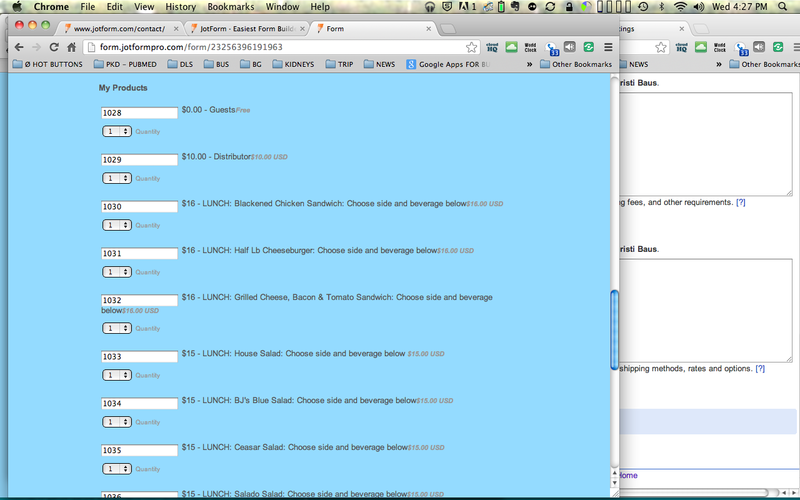 I HAVE DUPLICATED MY FORM THEN CLOSED THE SHOPPING CART ON THE ORIGINAL. I do not understand what the SHOPPING CART is doing. Hmm...that is strange and I do apologize for this odd problem but after investigating the problem it was discovered that the Header Field you have directly above your Payment Tool was the source of the problem because once it was removed, the problem went away. Your best bet would be to replace the Header Field that you used to drop the link and information into and replace it with a Free Text (HTML) Field which will allow you to create the same effect but without all the associated problems. Alternatively you can also adjust this directly via the Heading in the Form's Source Code as well.